This Silver Airplane Clock would make a great aviation gift. 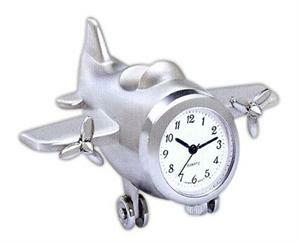 Silver airplane clock with 2 propellers. Test Pilot presents fun facts about a variety of different aviation topics.